When selling off their used car, not all people have the time to set up meetings with potential car buyers or the urge to negotiate deal, verify payment, or work with a purchaser trying to get financing. In such cases they may want to sell their old car to a dealership. But will they buy it if we do not trade it in for a newer model from them? Let us see. Typically, several car dealerships will be interested in buying your car irrespective of the condition, mileage and other factors. 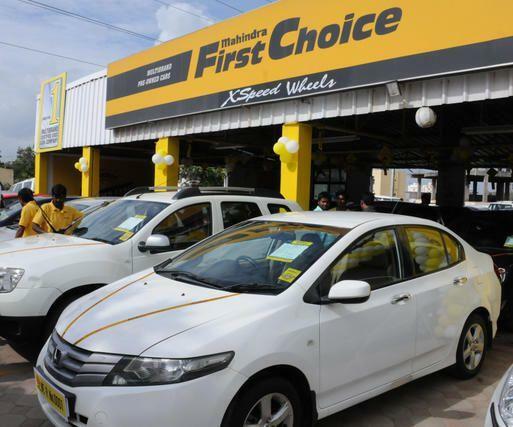 Some large dealership chains have policies to buy any vehicle you are willing to sell them, while others may make an offer on a car even when you are not going to buy anything in return. There are a few pointers which you can keep in mind. Firstly, before you ask a dealer to buy your car, consider what kind of car you have. If it is an older model with issues such as parts that are not working, bad tyres, dents and scratches, then you might have to face trouble getting an offer from most new car dealerships. You can check the trade-in value of your car on the Internet and then with that info, visit a dealership that might show interest in buying your vehicle. Be realistic about the condition of the car once the dealer looks over it. Remember, you probably will have very less negotiating scope in this situation because you will not be trading in your car for a new one. Secondly, it is strongly suggested that you choose a car dealership specifically based on the condition and maker of your car. Find the dealership that shows most interest in selling it since they would be more likely to give you the most money for it. You should first visit a car dealership that sells your brand of car. For example, if you are trying to sell a 2006 BMW, take it to a BMW store to see what they can offer you. If you do not like the offer, try a different BMW dealer before visiting an off-brand car dealership. If your car is slightly older, you may want to try and visit a dealer that specializes in used cars. For example, a 1990s Ford is likely to fetch less value to a Ford dealership, which mainly wants to sell new and recent Ford cars. It might be desirable to a go to a used car dealer that sells inexpensive pre owned cars and does not focus on a single brand. It is better to just be prepared to accept a trade-in deal that may be slightly less than your car’s retail value.